CAPE CANAVERAL — Deploying its marquee element in space Tuesday, NASA’s new Soil Moisture Active Passive spacecraft took a major step towards realizing its science potential. SMAP unfurled a 19.7-foot lightweight, gold, rip-resistant, mesh reflector antenna atop a boom structure that will spin at 14.6 rpm, completing one rotation every four seconds. Having unfolded the 16-foot-long boom last week, Tuesday saw the antenna successfully extended. The deploy started at 9:21 and finished by 9:55 a.m. PST as controllers watched from the Jet Propulsion Laboratory. “Fantastic. 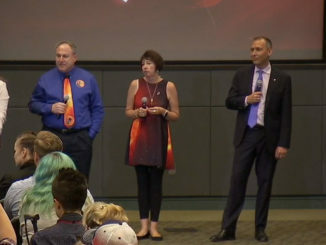 We had a very nominal deployment of the reflector,” said Kent Kellogg, the SMAP project manger at JPL. 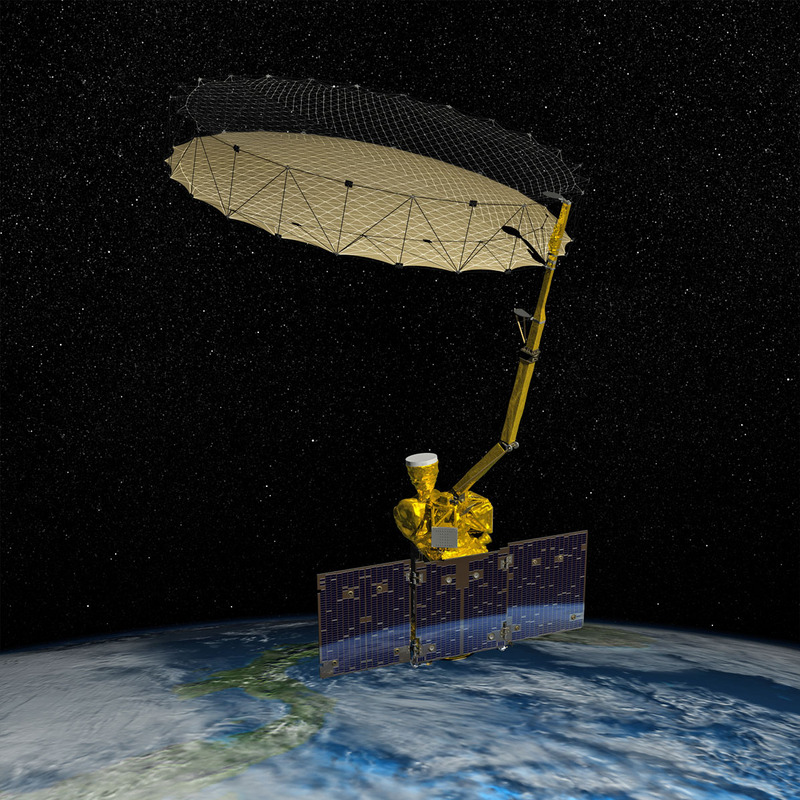 Astro Aerospace, part of Northrop Grumman, builder of deployable structures and mechanisms for spaceflight, produced the antenna reflector system for SMAP. 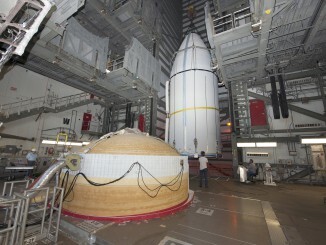 “Whenever you deploy a large structure like this in space it’s always a challenge. Our ability to test it on the ground in the same way we deploy it in space is limited because of the gravity-offloading that is required. So this was our most significant challenge post-launch,” Kellogg added. The antenna was stowed in a 12-inch-diameter, four-foot-long package for launch. Initially, it was allowed to “bloom” outward to 7 feet in diameter before being driven by a motor and piano wire to a tight, full 20-foot expanse. “The reflector is in good health. It has the structural stiffness properties that match almost perfectly with pre-launch predictions. That’s very good news for us,” Kellogg said. Upcoming in the next month, the science instruments will be checked out and the science-gathering orbital altitude will be achieved. “It’s not a big orbit raising event, it’s more circularization and some minor adjustments. 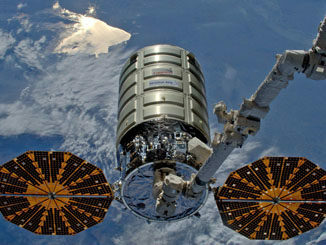 The Delta 2 put us pretty close to where we needed to be,” Kellogg said. In the second half of March, the spin-up sequence begins for the antenna. The launch lock that held the spin mechanism fixed will be released on March 19. The spinning initially goes to 5 rpm on March 23 for a few days of testing before gradually stepping up to the nominal 14.6 rpm on March 26. “Once we get everything spun up and operating, that’ll be another big milestone for us. We look forward to starting to get some of our science data down and processed, and seeing just how good the data ultimately will be for soil moisture and freeze/thaw state,” Kellogg said. SMAP was carried into space Jan. 31 atop a United Launch Alliance Delta 2 rocket from Vandenberg Air Force Base, California. The three-year mission will measure the the moisture content in the top two inches of soil on a global scale. “This data will benefit not only scientists seeking better understanding of our planet’s climate environment, but it’s also a boon for weather forecasters, agriculture and water resource managers, emergency planners and policy makers,” added Geoff Yoder, a deputy associate administrator at NASA’s Science Mission Directorate.